Masonic historians still seek answers to the origin of the Scottish Rite. The first reference to the Rite appears in old French records where the word “Ecossais” (meaning Scottish) is found. During the 17th century, when the British Isles were torn by strife, many Scots fled to France and resumed their Masonic pursuits. This influence may have contributed to the use of the word “Scottish.” Records from the 18th century show activity of the Rite in Bordeaux, France. From there it spread to the West Indies and then to the colonies. Antecedents of Scottish Rite existed in Albany, New York as early as 1767. As the Rite’s growth continued across the country, a Supreme Council was established in Charleston, South Carolina in 1801 to regulate the degrees and practices. This later became known as the Supreme Council for the Southern Jurisdiction of the United States. A Supreme Council for the Northern Jurisdiction of the United States was organized in 1813. The Northern Jurisdiction headquarters is in Lexington, Massachusetts, and coordinates the activities of Scottish Rite within New Hampshire, Vermont, Massachusetts, Rhode Island, Connecticut, New York, New Jersey, Pennsylvania, Delaware, Ohio, Michigan, Indiana, Illinois and Wisconsin. On May 14, 1857, the first Scottish Rite bodies of Chicago were chartered. This first Valley followed the period ideals that the “high degrees” were composed of superior knowledge and, as such, membership should be limited to the select few. The active membership was limited to 32 members, provisions for emeritus and honorary membership. The Lodge of Perfection was named for K. H. Van Renssealer, one of the first leaders in Midwestern Masonry. The Chapter of Rose Croix honors J.J.J. Gourgas, the Grand Secretary who famed for preserving the Scottish Rite during an era of Masonic persecution. Along its first two decades of existence, the Scottish Rite of Chicago faced ongoing conflicts and tension as multiple organizations formed and fought for membership and territory. 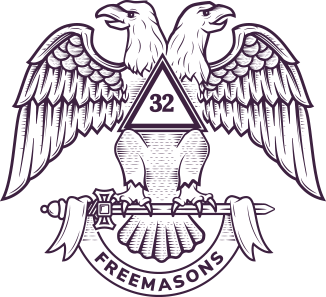 It was not until 1871 that a truce was negotiated, and the collective Scottish Rite Masons of the region agreed to merge into one recognized organization. Barely months later, the Great Chicago Fire devastated the region and forced the city to start anew from the ashes. From these same ashes, the Scottish Rite of Chicago set aside all past differences to rebuild their communities with the foundation of Freemasonry. In the present day, the Valley of Chicago still holds one of the largest memberships within the Northern Jurisdiction and operates as a flagship organization hosting regional and national events. With over three thousand members, the Valley of Chicago is one of the largest Masonic organizations in the state of Illinois. For a period of time, the unified Scottish Rite was housed at the famed Masonic Temple at Halsted and West Randolph. Soon after the completion of the Masonic apartments in the American Express building, the Rite moved in and called this their home for many years. It was not until 1900 that the Scottish Rite would move again, to properties on Dearborn Street. In 1911, the Rite acquired Medinah’s Mosque situated at the corner of Dearborn and Walton Streets, and continued to grow until the Rite owned all the adjoining properties. 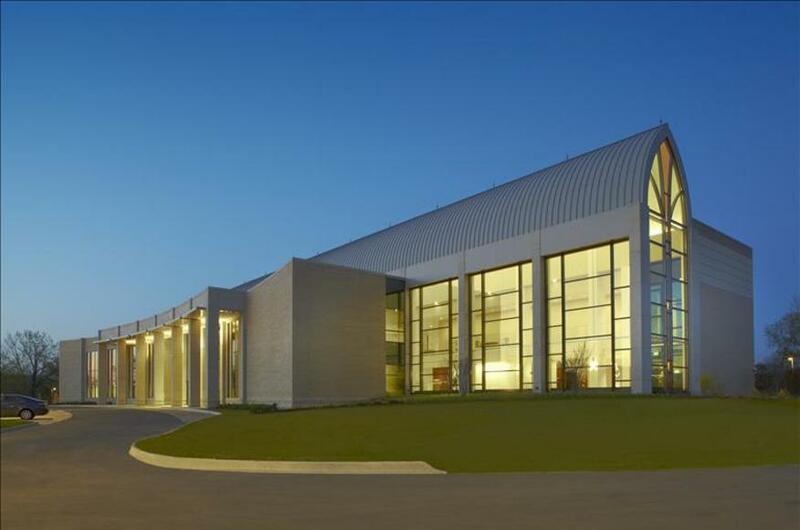 After more than a century at that location, the Rite made the decision to sell the entirety of properties bounded by Dearborn, Walton, State and Delaware Streets, and build a state-of-the-art headquarters in the western suburb of Bloomingdale, Illinois. The current Scottish Rite Cathedral offers a digitally controlled two-story theater, banquet hall, entertainment lounge, a Masonic library, and a professionally curated museum with rotating exhibits.